Our canine companions are our best friends. They love us unconditionally. A great time to show how much we love them is on Valentine’s Day. Since our dogs are part of the family, they deserve a special Valentine’s treat. Last year I sent my Alaskan malamute, Meeko, to a doggy spa. He came home proud as can be. He was bathed, trimmed and given a 4-paw pedicure. Then, he was brushed until his coat was really shiny. He was pampered for the entire time he was there. 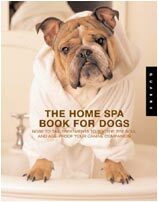 Look for a doggie spa in your area and treat your dog to a day of luxurious pampering. And if you’re interested in taking a trip somewhere fun with your dog, then you both will enjoy these pet-friendly spas. Another fun idea is to make special treats for your dog, using a heart-shaped cookie cutter to cut out the dough. Fish provides your pet with necessary omega oils that will keep his coat and skin in great shape. Add all ingredients to the pureed salmon. Mix thoroughly until it’s the consistency of cookie dough. Roll with rolling pin until 1/4 inch thick. Cut out the treats with a heart-shaped cookie cutter. Place on non-stick cookie sheet and bake in pre-heated oven at 250F for 30 minutes or until the dog treats are golden brown. These salmon dog treats can be frozen. 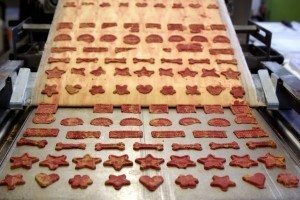 Another option is to make liver, lamb, chicken or beef flavored treats. All you have to do is substitute the salmon with the meat of your choice. If you live in a cold climate as we do, give your dog the gift of warmth this Valentine’s Day. When a deep freeze moves into your area, you will need to keep your dog protected from the cold, because dogs can suffer from hypothermia and it can be fatal. 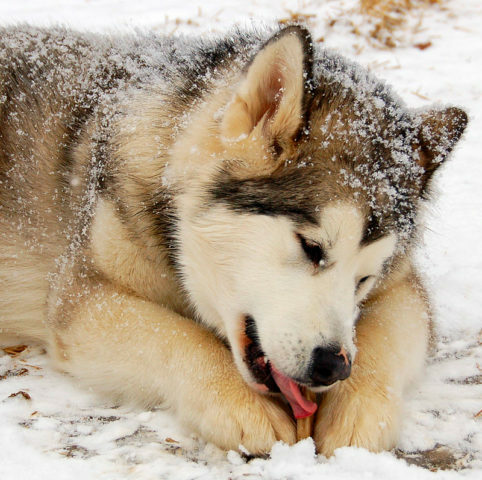 Frostbite can also affect a dog’s nose, ears and paws. A dog coat and dog boots make great gifts for dogs on the go! Or, if your dog won’t tolerate being dressed, consider a warm and cozy dog bed for your four-legged friend. If your dog enjoys being outside even on the coldest days, a great gift would be an insulated dog house. 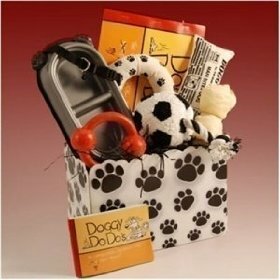 Doggie gift baskets will also be a hit with your dog on Valentine’s Day. Gift baskets for dogs can be purchased online, or you can make your own. Place these all together in a basket and wrap with decorative cellophane. Your dog will love sniffing all of the goodies when you give him the basket on Valentine’s Day. Plus, he’ll have a few new toys and a month’s worth of tasty dog treats! And don’t forget, you don’t always have to buy something for your dog in order to make him happy. Simply spend some extra time with your dog on this day — playing and running, and giving him the extra attention he deserves. Take your dog for a visit to the dog park. Go on a long car ride into the country. The idea is to get out and enjoy the scenery. Be sure to take your camera along! Our dogs lend us an ear, protect us from harm, and are loyal companions that love us unconditionally. Be sure to give your canine companion a gift that he’ll enjoy. I hope that you and your dog have a great doggy Valentine’s Day!